While most of what I write about on this blog (and in my forthcoming book) deals with the fighting that took place at New Market Heights during the Battle of Chaffin’s Farm, there is another encounter involving USCTs that took place on the same day that merits examination – the Battle of Fort Gilmer. 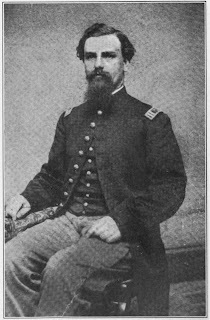 Fought late in the day on September 29, 1864, this battle came about as a result of the success achieved by Maj. Gen. David Bell Birney’s Tenth Corps at New Market Heights. As Birney’s troops pushed westward up the New Market Road towards Richmond after the battle, the lead division came under heavy artillery fire from Fort Gilmer. After some hemming and hawing, the division commanders deemed it unwise to continue toward Richmond with such a powerful fort in their rear. 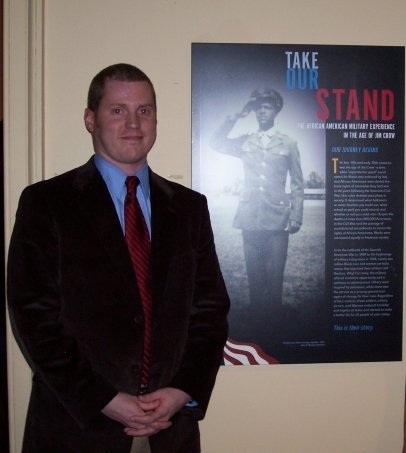 The decision was made – Fort Gilmer would have to be taken. 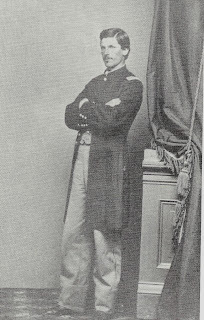 I was with [the 7th USCT] on Sept. 29, 1864 when Companies C, D, G, and K, were placed under Captain Julius A. Weiss, and ordered to charge and capture a fort in our front. When the order was received the Captain exclaimed, “What, capture a fort with a skirmish line? Who ever heard of such a thing? 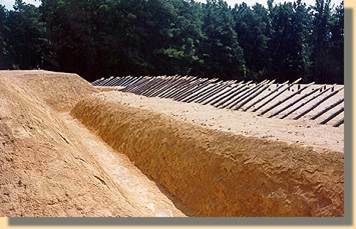 We’ll try, but it can’t be done.” It proved to be Fort Gilmer, on the main line of Confederate defenses, about six and a half miles from Richmond. A white regiment, the Ninth Maine, had just been repulsed in a charge on the same fort…Advancing as skirmishers we soon encountered a heavy fire of shell and shrapnel, not from the fort in or front alone, but also from one on our right flank, which was quickly followed by canister, and soon supplemented by musketry, the instant it could be utilized. Almost at the same moment the order to charge was given, and we dashed forward, soon to find ourselves plunging into a ditch fully seven feet deep, and twice that width. Pausing only for a breathing spell, the men helped one another up the interior, and nearly perpendicular wall of the ditch, until sixty or more had climbed to the foot of the parapet, and, upon signal, all attempted to scale and storm it. A volley from muskets whose muzzles almost touched us, and whose bullets penetrated the brains and breasts of many of those who showed themselves above the exterior crest, drove them instantly back, tumbling many into the ditch. Hand grenades were also thrown among us, some of which were caught by the men and hurled back at the enemy. The assaulting party was soon rendered perfectly helpless and we were compelled to surrender. All of the four companies except two lieutenants who skulked and one man who escaped from the ditch were either killed, wounded, or captured. One man escaped from the ditch and ran back to the regiment unobserved by our captors, during the excitement attending the surrender, and the transfer of our personal effects to the possession of the victors. One of the prisoners was claimed as a slave, and was delivered over to his would-be master. Of the 150 enlisted men who started, 51, or over 32 percent, were killed or mortally wounded. ﻿﻿ Fort Gilmer would not fall on September 29th. The 7th USCT lost 20 killed, 82 wounded, and 133 missing. All of that being said, I thought I would ask you, gentle readers, what you think. 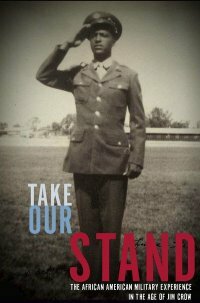 Does this look like an African American soldier to you? Are there any distinctive markings that I’m oblivious to that can lead to a conclusive answer? Whatever the case may be, I’m still very pleased with my purchase and I now have an irrepressible urge to start collecting more period images. As the Sesquicentennial rolls along, it is of vital importance to ensure that stories that have languished in the shadows for the past 150 years come to light. Therefore it is my pleasure to report that one of those stories – that of the 23rd United States Colored Troops – is getting renewed attention in the Fredericksburg and Spotsylvania region. 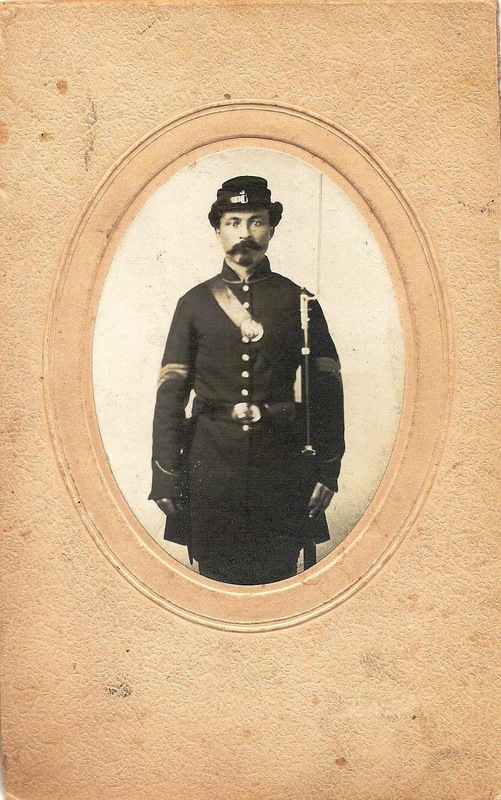 By now many of you are familiar with the excellent research that the crew over at Mysteries & Conundrums has uncovered regarding this regiment and its first action at the Alrich Farm on May 15, 1864, which you can read here. But there is more to the story of the 23rd than just this one fight. As the 23d was made up mostly of men from Washington and Baltimore, very naturally we found among them some pretty hard cases, the equals, perhaps, of what white troops would show if recruited in the same cities; but as a rule the men were sober, honest, patriotic and willing to learn and fulfill the duties of soldiers. 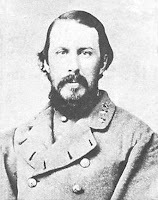 At the outset of the Overland Campaign in May of 1864, the 4th Division was assigned to guard Germanna ford. It was during this time that they would be called upon to help repel Confederate cavalry at the Alrich farm, which marked the first time that USCTs had clashed with the Army of Northern Virginia north of the James River. As the campaign continued to unfold and then wind down, the 23rd found itself at Petersburg where it would participate in the notorious Battle of the Crater, in which they sustained 74 men killed, 115 wounded, and 121 missing. The men of the 23rd stayed at Petersburg, where they would see large scale action again at the Battle of Hatcher’s Run on October 27, 1864. By the time that Richmond fell, the 23rd – now part of the 25th Corps of the Army of the James – had to march up a road strewn with landmines to get into the capital city. Like many USCT units, the 23rd ended its days in Texas after the fighting had ceased. They lost a grand total of 165 men from disease and 172 men killed or mortally wounded during the war. For over 140 years the story of the 23rd has coasted under the radar, their fight at the Alrich farm nearly forgotten. But now I am happy to report that the 23rd United States Colored Troops is being reborn for the Sesquicentennial. Most of you must have read by now the post on John Cummings’ Spotsylvania Civil War Blog about the core group that is hoping to take the story of the 23rd into the nearby community and generate enough interest to have a proper commemoration of the clash at the Alrich Farm in May of 2014. 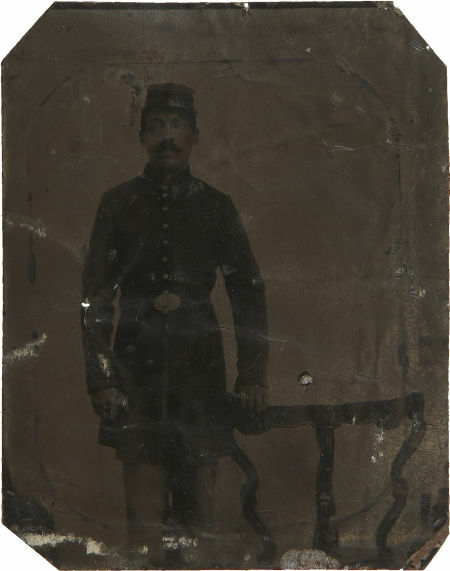 Since this is such an important task, I have decided to “join up” and will be portraying a 1st Lieutenant with the group and I would ask anyone in Central and Northern Virginia with an interest in portraying the African American fighting man of 1863-1865 to consider joining us in this effort. The unit has already partnered with the John J. Wright Educational & Cultural Center Museum and we are actively seeking other members and sponsors to help us in our task. Please take the time to consider the part you can play in helping us with this effort and look for updates on this blog as to the progress we make prior to our “big day” in 2014!